While the work to finalise our crowdsourced constitution continues, our attention now turns to you and your experience as a member of this community and a significant contributor to the project. Completing the survey should take, typically, no more than 15-20 minutes and you are free to withdraw at any point. We will also be giving £50 vouchers to ten persons, randomly drawn from the pool of respondents. The information you will provide to us will be used to improve the experience for participants in other similar, future projects and also for research purposes. It will not be used in a manner which would allow identification of your individual responses. Anonymised research data will be stored at the London School of Economics. If you wish to be informed about the results of our research please fill in your email address at the end of the survey. The first phase of ConstitutionUK, "Hacking the Content", is now into its final week. We are declaring this final week "Voting Week", and will be changing the rules of the game, amending the points available to you for voting and extending our invitees to the Constitutional Convention to the Top30. If you're keen to attend and have an eye on your current leaderboard standing, then please take note. At the end of this week, all votes with a positive vote balance (+1 or greater) will be progressed to the refining phase for further commenting and redrafting by the community. You will now receive 10pts if you cast or receive a vote on an idea (previously, this was 2pts and 3pts respectively). You will now also receive 5pts for voting, and receiving votes, on comments (previously, this carried no points). For technical reasons, these changes will be applied retrospectively (to votes already cast). To make sure nobody loses their deserved spot at the Constitutional Convention, we are extending the number of places available to the Top30. This is a fantastic opportunity for you all to add to your points tally and improve your chances of getting to the Constitutional Convention. Your votes are essential to ideas progressing to the next round. They are also critical to the overall legitimacy of the project and the final constitution. Currently, there are a great many ideas seeing lots of discussion but surprisingly few votes (either way; be it positive or negative). Similarly, there are a number of ideas which have received very few votes, and yet have a positive vote balance (so, as it stands, having little real legitimacy, but which are likely to progress to the next phase). In little over ten weeks you have, together, as a community, authored approximately 600 unique idea submissions, discussed and debated these via 6000 comments, and cast nearly 9000 votes to indicate what you want to see progress through the project and form part of our final, crowdsourced constitution. This is a huge achievement and you should, each of you, feel proud. Having been so successful in generating a wealth of ideas and debate, it is exciting to see how the constitution is taking shape. With little over a week left, it is now equally important that you cast your votes to decide which ideas should progress to the refining stage on Sunday! Professor Conor Gearty hosts Constitution UK's event in Nottingham where we asked Nottingham residents should Europe be at the heart of our UK constitution? Listen to part 2 of the public discussion on the European Convention on Human Rights. Professor Conor Gearty hosts Constitution UK's event in Nottingham where we asked Nottingham residents should Europe be at the heart of our UK constitution? Listen to part 1 of the public discussion on the European Union. In the fifth series of updates, Professor Conor Gearty provides a summary of the ideas from the Constitution UK community. Degauntier, contributing to the elections topic, has suggested that political parties that have a minimum membership and democratic structure should be recognised and protected under the constitution. In the Local Government Section, Debra Storr's idea is top of the leader board. She advocates for a Single Transferable Vote (STV) and suggests that this would allow for greater proportionality in local elections. emcnulty has reached the top of the leader board in the judiciary section with her suggestion that the Constitution should outline that legal aid is a requirement for a functioning legal system. Legal aid should be shielded from budget cuts under the constitution. Your vote - is it wasted? After discussing the Constitution in last week's edition of ConstitutionUK's weekly series, Professor Conor Gearty talks to Professor Simon Hix, Professor of European and Comparative Politics at LSE to discuss the electoral systems in the UK and what happens to your vote. What exactly does First-Past-the-post mean? How are your representatives elected? Is it democratic? What alternatives there are to the current system? In the fourth series of weekly updates, Professor Conor Gearty provides a summary of the ideas from the Constitution UK community. Steveg33 would like to move Parliament to the North in order to end what he sees as the dominance of London. Helen R Clare’s idea to extend select committee powers to call and enforce the attendance of witnesses is gaining votes. Harry Blain is calling for gender equality in Parliament – do you agree with him? ElizabethA wants real separation of powers with the Prime Minister elected separately to MPs, in order to prevent career politicians. Europe and the UK. Have we lost our sovereignty to Brussels? After discussing the Constitution in last week's edition of ConstitutionUK's weekly series, Professor Conor Gearty talks to Dr Sara Hagemann, Assistant Professor at LSE's European Institution to discuss the EU and what impact it has on the UK and its sovreignty. What are the differences between the European Commission and the European Parliament? What goes on in these closed door meetings at Europe? How does Brussels affect your life? How easy is it to get UK sovereignty back? What exactly do we mean by ‘sovereignty’? Constitution UK's visit to Cambridge was covered by ITV News! In the second series of weekly updates, Professor Conor Gearty provides a summary of the ideas from the Constitution UK community. Would you abandon our current First past the post system in favour of something else? 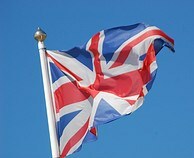 Is it now time to allow our 16-18yr olds the right to vote, along with their right to work and join the armed forces? Jack Holton has declared that each district council should have an elected mayor. How do you feel about Jhackett’s idea to replace the House of Lords with a people’s jury? In the judiciary topic, Andrew Cullyer thinks we should give judges judicial veto to strike down laws as unconstitutional as they do in the US. What powers should our judges have in our constitution? After discussing Local Government in last week's edition of ConstitutionUK's weekly series, Professor Conor Gearty talks to Dr Andrew Blick, Lecturer in Politics at King’s College London to find out what exactly a constitution is. What is the difference between a written constitution and an unwritten one? What is the history and significance of Magna Carta (if any)? Where do you fit in? Join the debate and share your ideas as we crowdsource a written UK constitution. How do you write a constitution for a state in which 45% of the population of one of its founding partners voted to leave a political Union which it helped to create over 300 years ago? It certainly is difficult, and probably impossible. Why should that be? David McCrone talks about unions and constitutions. In the first place, it is important to understand the nature of the 1707 Union which created ‘Great Britain’. (For the purists, the ‘United Kingdom’ came about in 1801 when Ireland (all of it) joined the Union.) That Union was what the French call a ‘mariage de raison’ such that Scotland got access to economic and political power in the unfolding British Empire, while England severed the old alliance Scotland had with France since the 13th century. It was a marriage which ultimately suited both nations, with Scotland retaining key institutions such as law, education, religion, local affairs, and leaving Westminster to deal with ‘high’ politics; taxation, warfare, and in the 20th century, welfare. Famously having no formal and written constitution, the United Kingdom was able to tackle matters pragmatically, searching for a political solution for what otherwise would have to be handled by constitutional courts. Wars could be waged, colonies disengaged, power devolved according to whoever had power in the UK parliament. Lest that strike the reader as a somewhat reactionary stance, let us remind ourselves that in 1999 power could be devolved to Scotland, Wales and Northern Ireland without much trouble. Contrast that with the failure of Canada as a formally federalist state to accede further powers to Quebec in the 1987 Meech Lake agreement, because the other provinces vetoed the arrangement. Truth to tell, a formal and written constitution cuts two ways. On the one hand, it curbs the centralising instincts of executive government. On the other hand, it constrains political action even where, as in the Quebec and Scottish cases, it is sensible to find solutions. The old adage applies: politics first, law second. When the UK failed to start out on the road to federalism in the late 19th century (‘home rule all round’) due to the intransigence of Unionism, what the UK got was what the late Neil MacCormick called ‘asymmetrical quasi-federalism’, with powers devolved but theoretical sovereignty retained to Westminster. It would still be possible for the UK to prorogue the Scottish parliament on those grounds, but it would be an act of mindless stupidity, and a quick way to an independent Scotland. Scotland is ‘different’ because it has always been. Its institutional distinctiveness has grown since the Union of 1707, notably in 1886 with the formal establishment of the Scottish Office, in the post-war period with new economic institutions, and most obviously leading up to the creation of the Scottish parliament in 1999. It is this institutional leeway, the fact that it is a different ‘civil society’, with a strong sense of national identity albeit with an attachment also to being British, which has kept Scotland in the Union. more ‘left-wing’ than the English; UKIP is weak, after all; and the dominant parties, Labour and the SNP are left-of-centre ideologically. So it seems that Scotland is left-wing; England is right-wing. Both parts of that equation are flawed. A majority in both countries believe that ‘ordinary people do not get their fair share of the nation’s wealth’. Almost half in both countries believe that the government should redistribute income from the better-off to the less well off. On the other hand, a majority in both believe that the dole is too high and discourages work. True, Scotland is marginally more left-wing in terms of social and political values than England, but that is not sufficient to explain the clear divergence in electoral politics. So what is going on? The simple explanation is to say that in England the Conservatives get elected despite the centre-left values of the electorate, whereas Scots go with the flow. Hence, people in England voted for Mrs Thatcher and her successor despite their values, and not because of them. (Labour’s perceived economic incompetence had much more to do with electoral failure, coupled with the oddities of majority rule.) In other words, the Scots and the English share similar values, although Scots are marginally more left-wing. The real difference derives from the system of party politics in the two countries which in turn shapes the political agenda. Thus, proportional representation in Scotland produces a multi-party system in which two social democratic parties, SNP and Labour, dominate. England, on the other hand, has first-past-the-post which sets up a dichotomous system, and is manifestly one creaking at the hinges. Would a written constitution have created a more stable United Kingdom? We will never quite know, but each time it is raised as an afterthought, rather than at the moment when it is most needed. Thus, if in the late 19th century before Ireland left the Union, there had been a written constitution rather than simply the assertion of ‘the crown in parliament’, a federal UK might just have been possible. Similarly, in 1945 when the British state was being recomposed as a welfare rather than a warfare state, there might have been the chance for a modern constitution. The lack of one has allowed the Westminster ‘crown’ party to capture power, and this centralisation process in turn makes such a constitution less, rather than more, likely. And so it goes in the aftermath of the Scottish referendum. To argue for a written constitution would seem, at least to the Scots, a barrier rather than an enabler of further social and political change, something which would lock them into the Union should they decide to leave it. If, perchance, a further referendum took place, this time to exit the European Union, and it led to ‘Brexit’, how would a written constitution assuage Scotland’s desire to remain in the EU? Perhaps, to coin a phrase, a written constitution is a good servant but a poor master. 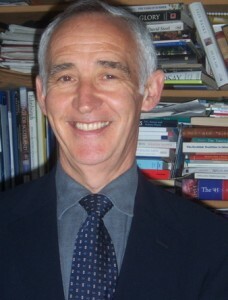 David McCrone is Emeritus Professor of Sociology, and co-founder of the University of Edinburgh's Institute of Governance. He is a Fellow of the Royal Society of Edinburgh, and a Fellow of the British Academy. He has written extensively on the sociology and politics of Scotland, and the comparative study of nationalism. His book, with Frank Bechhofer, ‘Understanding National Identity’, will be published by Cambridge University Press early in 2015. This article gives the views of the author, and not the position of ConstitutionUK, nor of the London School of Economics. In the first of a series of weekly updates, Professor Conor Gearty provides a summary of the ideas from the Constitution UK community. Should we follow JamesDoran's proposal and abolish the House of Lords? Should the UK have elected regional assemblies? Should devolved institutions be committed to tackle climate change? We will update this blog with upcoming news including exciting upcoming public events. Further, we will alert you to when a new video with Professor Conor Gearty talking with an expert on a challenge topic is available to watch, so keep checking this section for updates. LSE's Institute of Public Affairs is launching an exciting and innovative project which will crowdsource a written UK constitution. We invite the public to discuss a range of issues including the powers of Parliament and the Prime Minister, the role of the Head of state, how should we elect our representatives, what rights should we have and what place, if any, should the European Union have in our British Constitution. Your opinions and ideas will be documented on an online platform and you will have the opportunity to vote ideas up or down, question experts and have access to resources to assist you, if you think necessary, in your decision making. At the end of the crowdsourcing process the Institute of Public Affairs will hold a Constitutional Convention in March to bring together the crowdsourced data to form a written constitution. Experts, the public and 20 Constitutional Champions representing the online community created over the 10 weeks will be invited to LSE to put together the written constitution. You are welcome to join us tonight at the Thai Theatre, New Academic Building. If you haven't signed up already please register to join in the debate! Is Constitution UK coming to your city?